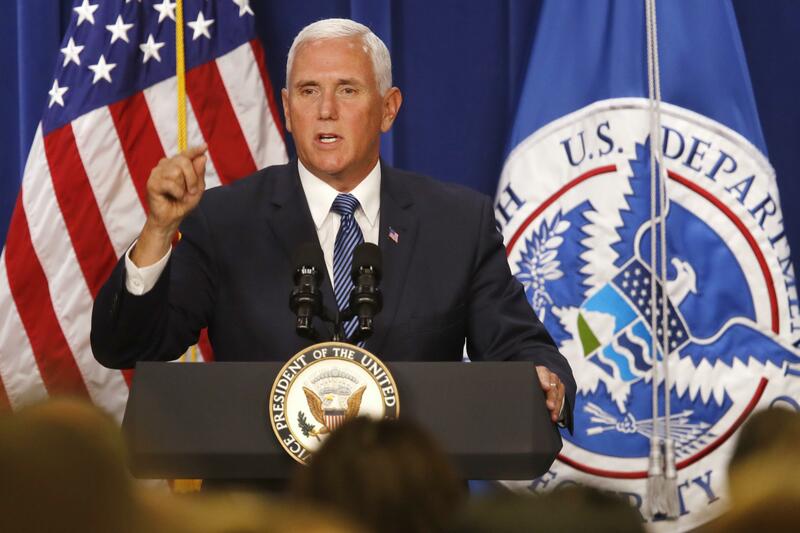 UPDATED: Fri., July 6, 2018, 12:59 p.m.
WASHINGTON – Vice President Mike Pence on Friday accused Democrats of making opposition to the federal immigration agency central to their party, calling for an end to “spurious attacks” on U.S. Immigration and Customs. “The American people have the right to their opinions, but these spurious attacks on ICE by our political leaders must stop,” Pence said. Published: July 6, 2018, 11:06 a.m. Updated: July 6, 2018, 12:59 p.m.